All our artists knew was that we wanted a level that represents Asia somehow. Asia has a very long history and diverse culture, so we just had to pick something from there and go with it, there is no way we could put everything in one level. After a brief discussion we decided that there is two ways we could go about this. Either we could put in something very traditional that everyone would recognize as Asian, or we could take the modern approach that actually describes our timeline better. 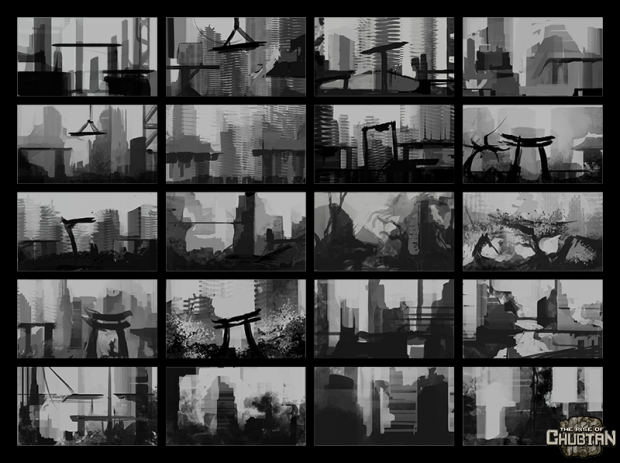 Our lead artist started by making a bunch of thumbnails spending an average of five minutes per thumbnail. Our first try to make the level was traditional Japan. We thought that this would be easily recognizable and easy to design some hazards like ninja and oni. Elisabet made a sketch of the level, but we could not get the perspective to work the way we wanted and had to discard the idea. Since the garden idea failed we tried the modern approach. 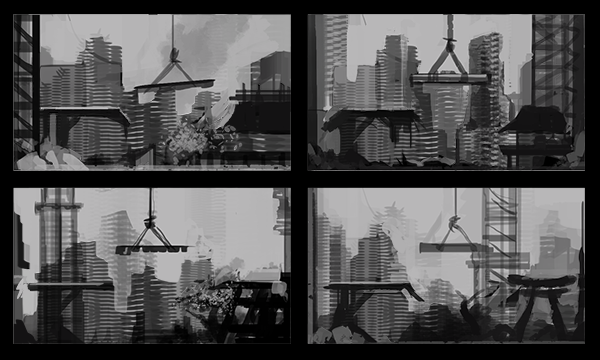 There was a plenty of possibilities how to go forward but we chose to continue the best of modern thumbnails and see what comes out of it. 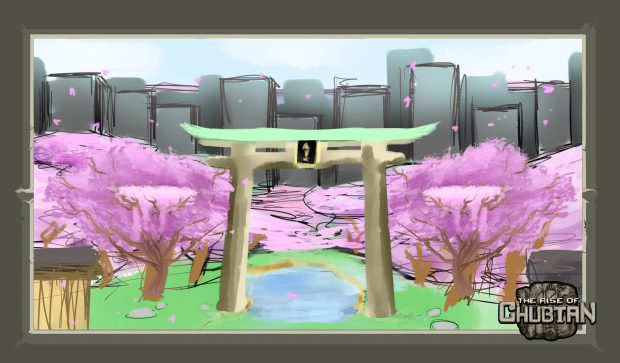 While drawing the thumbnails we had the idea of combining a bit of both elements by adding rooftop garden or a Torii gate to a modern city.